Before you spend too much time and money on the Qjet, rebuilding, tweaking, etc, I STRONGLY suggest a fuel injection conversion. No more cold choke issues, instant increase fuel mileage (about 1 mpg), better throttle response, and most of all, altitude compensation. When I got my coach it was 6-6.5 mpg, now it is 8 mpg. My Qjet ran well at low altitudes but was terrible in Denver. With the FI you can barely tell the difference. You can get the kit prepackaged as I did (Affordable Fuel Injection) or build it yourself from a 90's TBI setup. If you are already considering an O2 sensor you're partway there. You can get a salvaged throttle body, sensors, harness and computer module pretty cheap, then go to TBIchips.com for a custom chip. Brian knows TBI stuff very well. There are "quadrajet bushing kits". These go for $90. What you get for this is a "chucking reamer" and bushings. The shaft of the reamer goes in the existing holes of the throttle shaft for alignment and the cutting edges remove some aluminum for giving the bushings some spacing. I bought a pair of reamers on ebay for $10. MSC Industrial Supply has oil impregnated bushings that are 3/8" OD, 5/16" ID, for a dollar a piece. These are the Boston Gear 34588. Until now I have not seen this unit but I must say it looks and sounds impressive. I may have to investigate deeper!!! Since putting the new 454 HO engine in my barth. I have been thinking about the EFI upgrade too. What did you decide on the FiTech EFI ? I think the EFI Steve bought was about Double the price ?? Any opinions on how well this FiTech EFI would perform on my 454 HO ? The Affordable Fuel Injection system is somewhat different. It uses a stock GM ECM module, throttle body, harness and stock sensors. The FT custom module is built into their custom throttle body. The sensors appear more generic. Reading the FiTech info indicates their system does not control ignition timing. It has a 4 bbl injector body, AFI is 2 bbl. The AFI system is around $900. In addition, for either system you will need to invest in a new higher pressure fuel pump. Since the FT system is unique to them, you may not be able to get easy support on custom chips and throttle body parts. The timing remains stock using your original HEI distributor. The installation guidelines seem to be fairly comprehensive and reviews were generally positive. A few buyers complained of poor support. I would really like to see an independent writeup on this system! Bob, like you I have been thinking of adding fuel injection. Holly, Eldebrok, MSD and FiTech all make stand alone systems. Fi is the newest one to the market and I noticed the others have gotten cheaper since then. Steve, the Holley, MSD and Edebrock make units that can control the ignition and I think FiTech makes one that will also. The last picture shows the different models. I am still looking, haven't pulled the plug yet. Whatever way you choose to go I think you will be happy with the results. Even an exceptional carb can't compensate for altitude and temperature as well. Good luck! I have been using the Holley HP ECU and MPFI for my old Mopars...For a gas Motorhome I would really look at buying the Holley Sniper kit, and the Holley EFI distributor that has the Crank and Cam sensors built in. The HP ECU is very powerful and easy to program. if you are going to get a fi kit, your best bet is us use a kit that uses stock parts, otherwise when you need parts when you are broken down you have a better chance of finding stock parts vs hoping you can find a place or ordering online if you can even get parts that has the specialty parts needed. best setup would be just replacing your older 454 with a 96-99 vortec 454 . Jim, I have been thinking about the Holley Sniper kit, uses a standard fuel pump, your choice. The regulator is in the TBI as are all the necessary electronics, uses a standard O2 sensor, hooks up to an HEI distributor other than fuel lines that's about it and the whole set up including the fuel pump is about $1200. I think it can be made to accept up to 600hp for you hot rod guys. Multiple SU carbs mix air and fuel by weight therefore are very altitude and air density compensating (my turbo corvair ran clean at 14,000'. 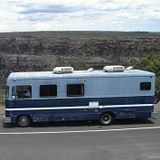 However rigging up enough large enough units for a motor home engine would be far more taxing than a FI conversion. And upgrading to a late engine brings a lot of "longevity" like roller lifters even rockers and better tolerances. Later gas engines should easily go well over 100k with good maintenance.